The Picti were first referred to in AD 297 by Eumenius. The meaning of the term is uncertain although many texts interpret it as 'the painted ones'. The term describes all the inhabitants north of the Forth-Clyde isthmus. According to Foster (2004) the archaeological evidence from the period supports this view although some commentators place the boundary northwards around the Tay. We saw earlier that classical writers gave names for a number of tribes and kingdoms within the Pictish area. They became more clearly identifiable from archaeological and historical remains in the sixth century. Whoever they were, Foster (2004: 9) states that: 'we can be confident that they were simply the descendants of the native Iron Age tribes of Scotland, most of whom were never part of the Roman empire, or were only affected for short periods of time'. 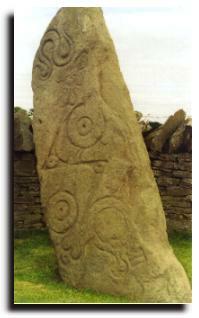 The Picts have attracted considerable interest because of their symbols, particularly on sculpted stones. The Picts captured the imagination of eighteenth and nineteenth century writers and travellers to the extent that a wide range of monuments, particularly brochs, were attributed to them. 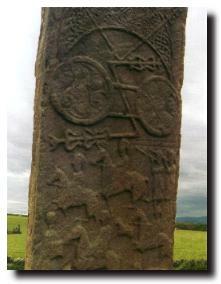 Foster argues that a factual, as opposed to a romantic, understanding of the Picts dates only from the 1950s. Contributors to the Dundee conference in 1952 (published in 1955 as The Problem of the Picts) felt that they were unable to 'point to a single fortress or to a single dwelling or burial and say with certainty that it is Pictish' (quoted in Foster, 2004: 12).